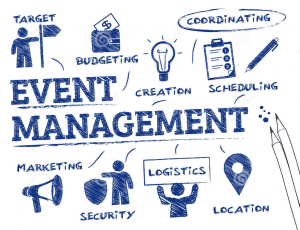 The IWWF announced earlier this year that its Executive Board selected QUBITEQ to develop its Event Management System (EMS). The EMS will be made available to all IWWF member Federations, including their affiliates and athletes, as a free value-added benefit. The Programming is in progress and scheduled to be completed by the end of March 2019. The implementation at Confederation level will take place soon after, according to a timeline which will be communicated in due course. The Project Team, comprising of representatives of the majority of the IWWF’s sports disciplines (waterski, cableski, disabled ski, wakeboard, cable wakeboard, barefoot and wakesurf) as well as an athlete representative, will be responsible for testing the EMS. Dimos Alexopoulos, co-owner of QUBITEQ and Project Coordinator, is managing the major component of the project, managing all technical issues, handling all detailed tasks, co-ordinating with the Project Team and reporting to IWWF Executive Director and EMS Steering Committee Delegate, Paul Fong. As Steering Committee Delegate, Paul has been supervising the fulfilment of deadlines by Qubiteq, ensuring a link to the EMS Steering Committee, IWWF Executive Board, IWWF Confederations (Africa, Asia, Europe, Pan America and Oceania), etc. The IWWF is also in the midst of recruiting an EMS Administrator from within its community. Among other tasks, he/she will be responsible for the implementation of the EMS, together with Dimos Alexopoulos, and then be responsible for the administration of the EMS moving forward, which will include users’ support. Enable athletes to register online for competitions and maintain a history of their scores, placements, achievements, sponsors, etc. Please contact IWWF Executive Director, Paul Fong if you have any additional question.